The New Agenda is delighted to announce the launch of the “Red Tent” initiative: a monthly meet-up on college campuses and in communities around the country. Each month we will provide material on how women’s and girls’ lives may be impacted by a particular aspect of current events, along with related steps of activism to make change. The “Red Tent” concept will offer a framework to grow awareness, generate conversation among women, and provide concrete steps that all of us can take to promote change that we want to see for women in our country. Red Tent meet-ups will occur on the second Saturday of each month, starting February 11th. We invite you to host and organize a Red Tent event on your campus or in your community. It’s easy: just find a meeting spot, and invite your friends, neighbors, or classmates! We’ll provide a free information kit for organizing your event! 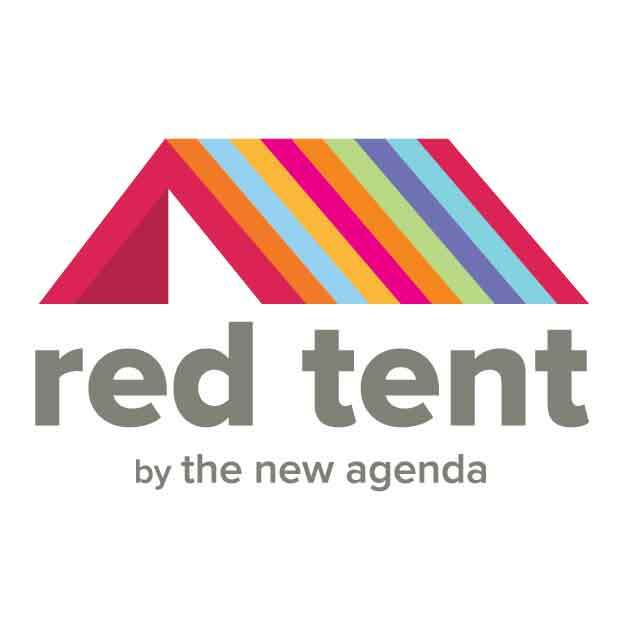 If you would like to lead a Red Tent, message us at RedTentHost@gmail.com. College students: we will also reimburse you for the cost of FREE PIZZA at your event! The subject of the first Red Tent meet-up will be: Trump’s Cabinet and the Impact on Women. Please post this on social media and invite friends to attend, or host their own event! Stay posted on this, and on future Red Tent meet-ups, by following us at Facebook and on Twitter. Registration is now open! You can register for “open to the public” events, and see the map of locations across the country, by clicking here.